spend over 11 hours per day consuming media content, which includes using smartphones, listening to the radio, and spending time on desktops and tablets. That’s a lot of digital consumption! And it’s precisely the reason why print materials, like flyers, brochures, and marketing postcards still stand out. A tangible, tactile marketing piece grabs attention in a fresh way, and marketers agree that it’s still an incredibly viable means of raising brand awareness in an era of digital overload. We’ve talked about business card design and the various uses of brochures. In today’s blog, we’ll dive into flyers for small, local businesses and organizations. How can you use them to boost your business? In what situations do they work well? Read on! Marketing flyers are an excellent way to get the word out about an event. Hang up flyers in your community’s city hall or even in popular restaurants or businesses. Most businesses will be happy to display your flyer if you offer them a gesture of appreciation, such as free access to your organization’s event. Be sure to include a clear call-to-action and next steps for your flyer’s readers, such as visiting your website for more event information. If your business is newer, re-branding, or just in need of some love, flyers are an easy way to help spread the word about your company. If you’re a for-profit organization, deliver flyers as a direct mail pieces to members of the community with a special offer or deal. For example, if you’re opening a new restaurant, send out marketing flyers letting recipients know that your business is ready for diners and offer a coupon for a free appetizer or dessert for those that come in by a particular date. If your restaurant impresses, you can be sure that people will tell their friends, which will increase foot traffic. A good flyer strategy for nonprofit brand awareness is to release flyers that request donations during a timely season, such as December for end-of-year giving. You can also remove the date-specific information and hang them up around town to increase brand awareness, encourage donations, and attract volunteers. Whether it’s a move, a new location, or an expansion of services, flyers help your news become widespread in the community. While you should implement digital marketing methods to share company updates with current customers through social media or email newsletters, flyers are a good way to echo major announcements throughout the larger community. Those who may or may not have been interested in your business before might be more inclined to check it out now that you’ve grabbed their attention. 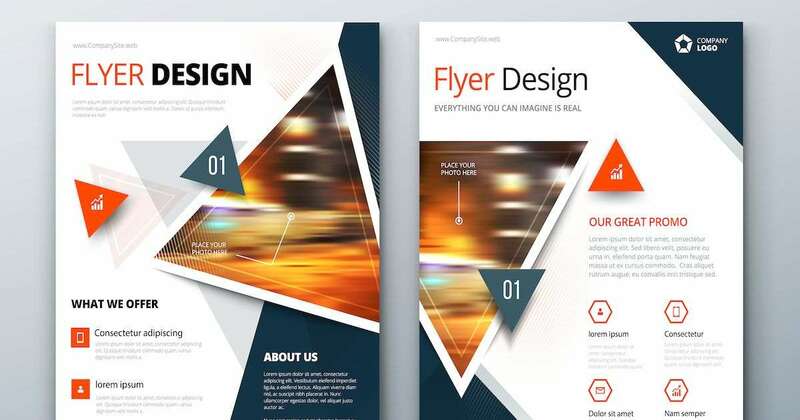 As you can see, marketing flyers are an excellent communications tool useful for spreading the word about your business or organization in a variety of situations. If you’re ready to get started with flyers, QuantumPostcards offers high-quality flyer printing that can be delivered right to your door in a quick turnaround time. Learn more about our flyers here.